The lovely Sherri McConnell from A Quilting Life is my guest today. Isn’t Sherri’s block so summery and fresh. I love the combination of dots and low volume prints. I am a big fan of Sherri and her wonderful quilt designs. I was lucky enough to be in the Tone it Down QAL with Sherri where she made this gorgeous version of the quilt. Make sure you visit Sherri’s blog and while you are there, have a look at the Summer Organising Series. Sherri’s post can be found here. In the assembly of the Nested Churn Dash it is important to match seams and not chop off the points of the HST’s. This can be achieved very easily by following these simple steps. Preceding these steps I cannot stress how important is it to have consistency in your seams. 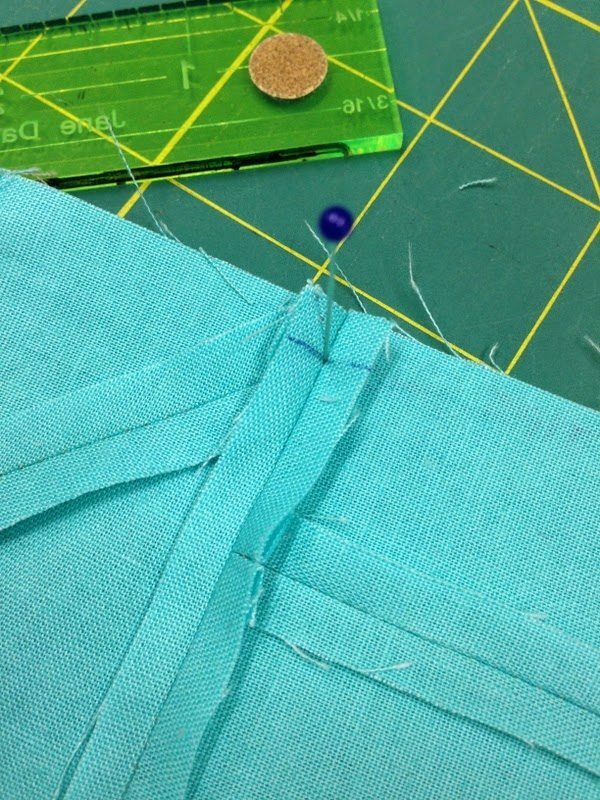 If all the seams are the same size, 1/4″ or scant 1/4″, then piecing will be a breeze. The seams will easily nest together and you won’t chop off the tips of your pointed pieces. 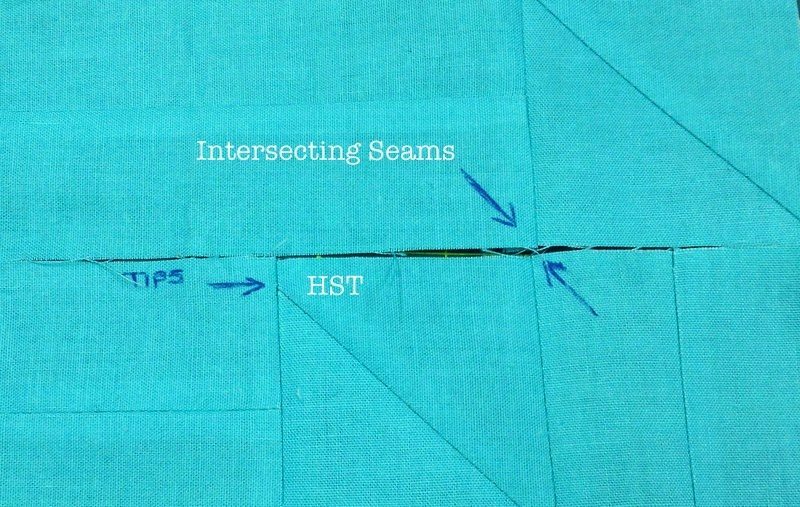 Tips of the HST’s and intersecting seams of the rows of the NCD block. Step 1: Place pieces Right Sides together, looking down on the raw edges of the pieces, match the corresponding seams. 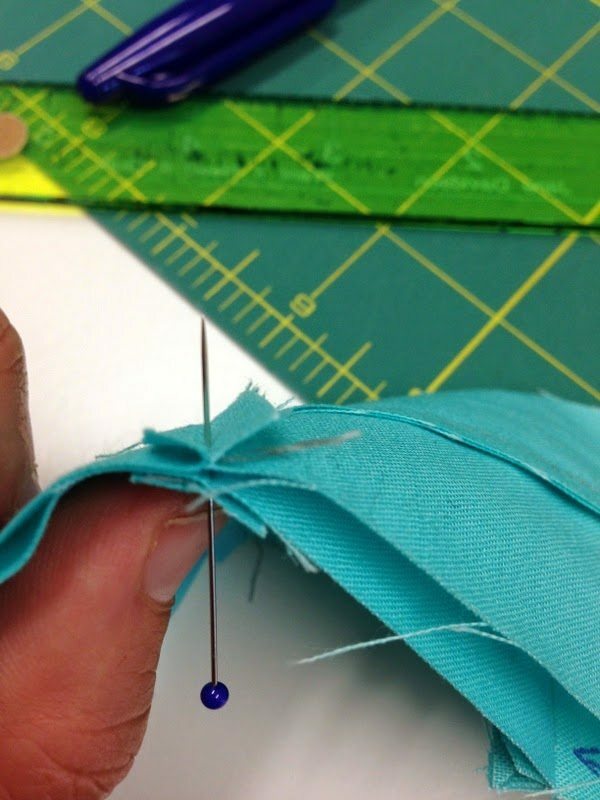 Step 2: Place a pin 1/4″ from the raw edge directly through the stitched seam on one piece at 90 degrees. Step 3: Slide the tip of the pin through to the right side of the second piece and find the corresponding seam 1/4″ from raw edge. Push the pin through keeping it straight. This pin is called the setting pin. 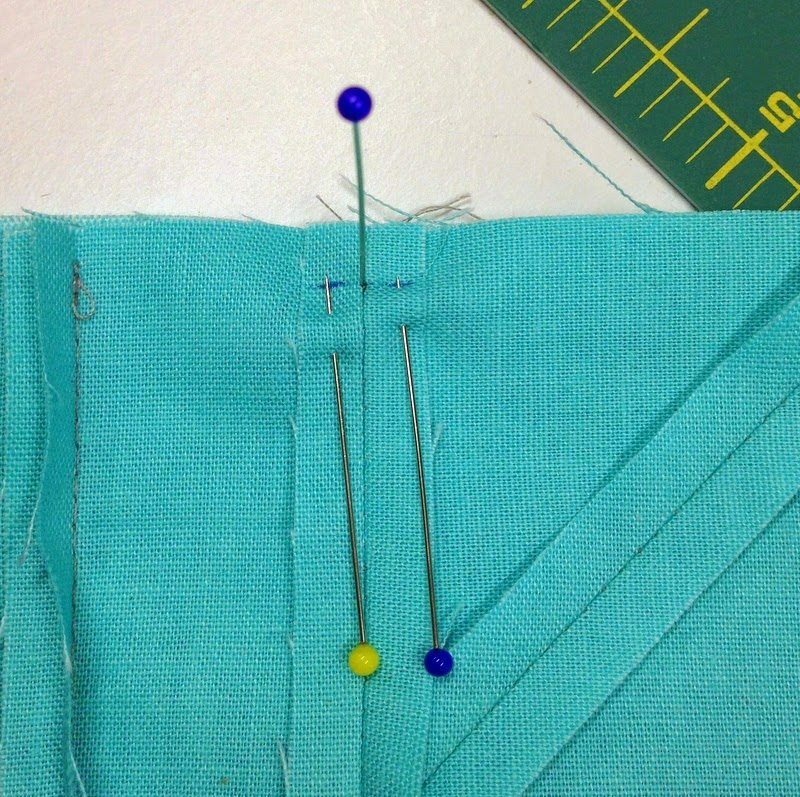 Pin is set at 90 degrees to the seam at the 1/4″ mark. 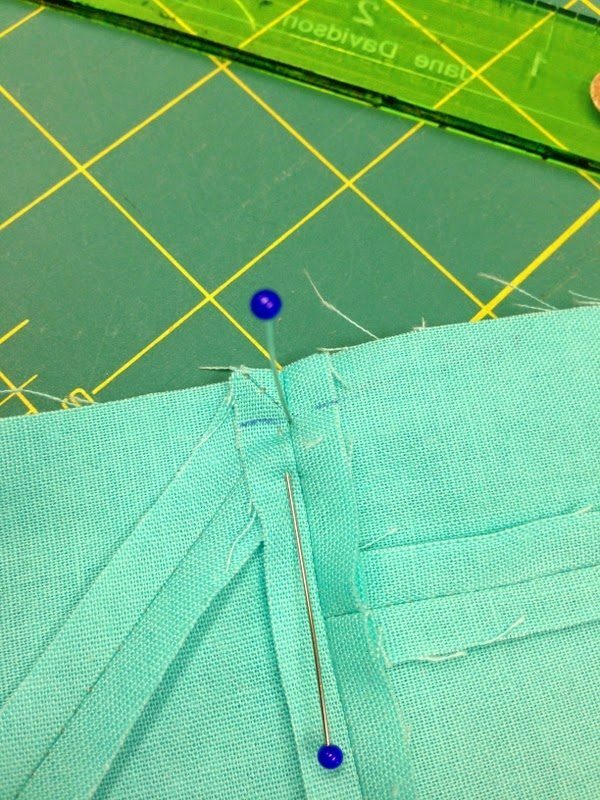 Step 4: Place a pin on either side of the setting pin, using a small bite for both and the tips just on the stitch line. Remove the setting pin. You can also try with one pin set very close to the setting pin. 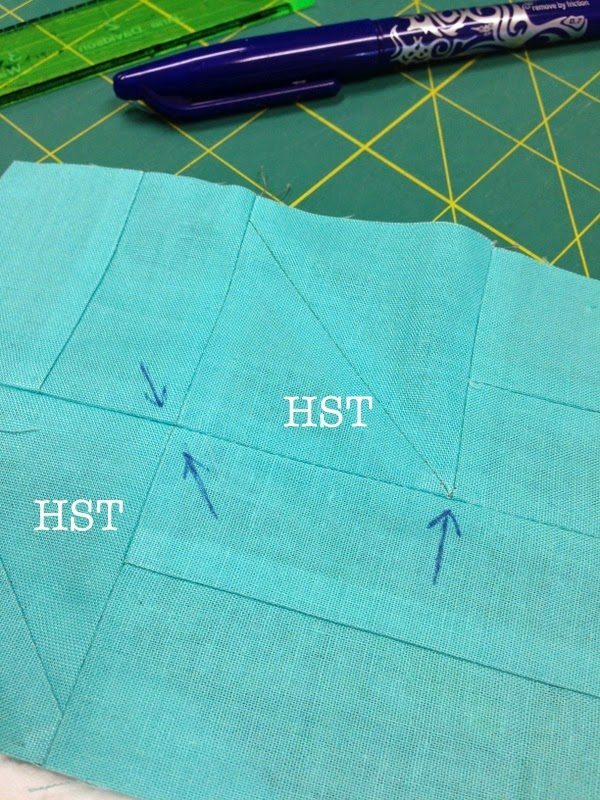 Step 5: To preserve the points of the intersecting HST’s, sew 1 thread beyond the point. This will compensate for the fold of the fabric. Step 6: Press open your seams and marvel at how accurate your points are. Tomorrow we have Sara Lawson – http://www.sewsweetness.com. Don’t forget to visit Carrie, Kim, Pat, Lissa, Kimberly and Frances and view their gorgeous projects. Coming up soon we will be delighted with projects from these talented people. Shhh. Don't tell the others. This is my favorite one in the tour so far. I know it's because of my color preferences. Pretty! This is so great! 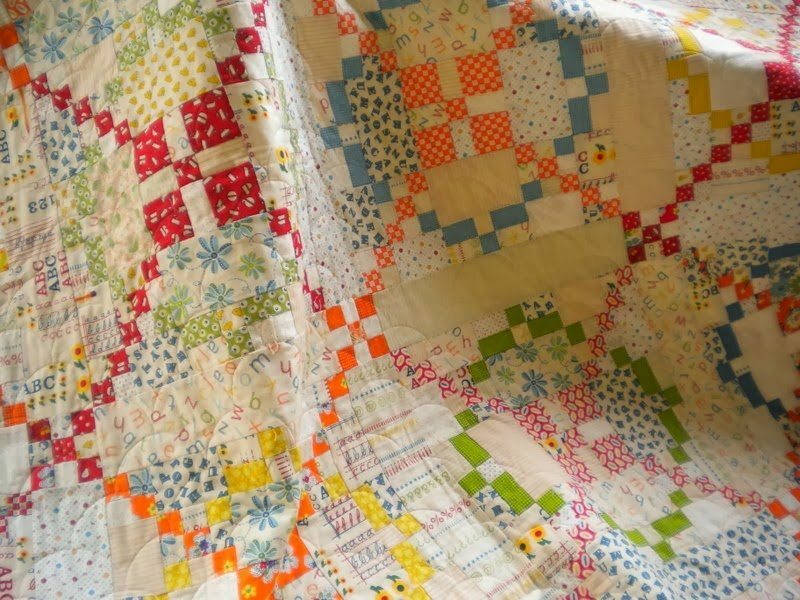 I LOVE the hints and Sherri's quilt is stunning. 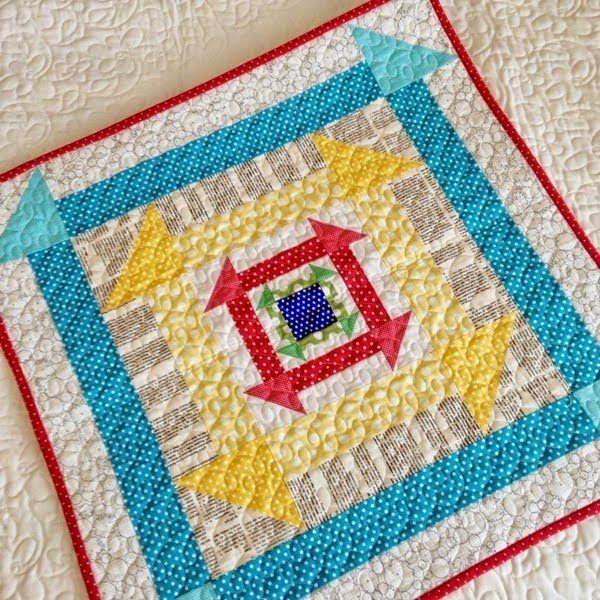 Did you know that your pattern is the number 2 best seller on Craftsy?